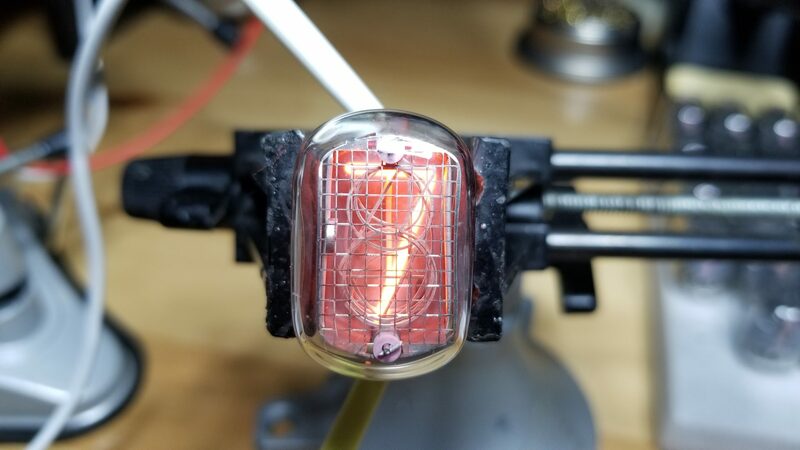 Ever since I acquired the vintage 1970’s HP 5245L Electronic Counter (Milspec), I simply can’t get enough of NIXIE tubes. I developed a new passion for these devices. 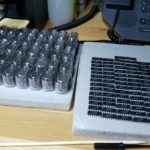 In pursuit of developing on that passion, I ventured into acquiring a few NOS NIXIE tubes from Ukraine ebay seller. The first bought model was the IN-12A tubes. 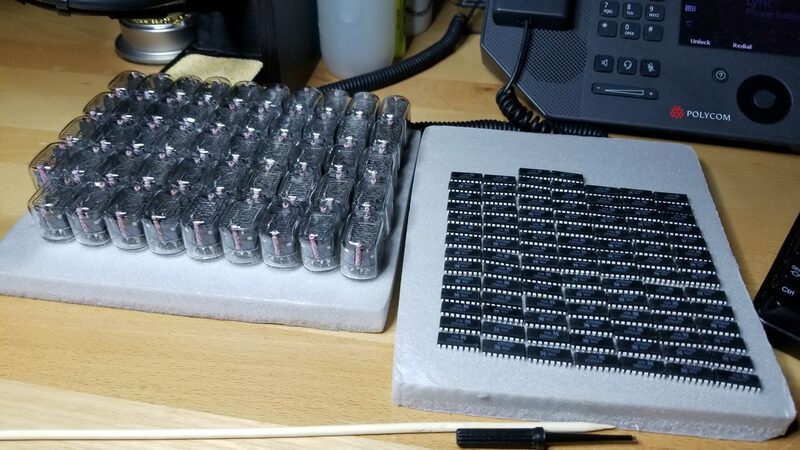 In order to drive these tubes, I have also acquired a few NOS K155ID1 high voltage BCD to Decimal driver chips also from Ukraine on ebay. 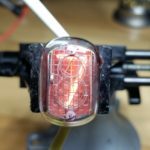 There are more than several good YouTube videos out there that describe how the NIXIE tubes work, so it will only be redundant if I reviewed it here. But, I will make a few videos that describe my endeavors with these fine vintage retro devices. 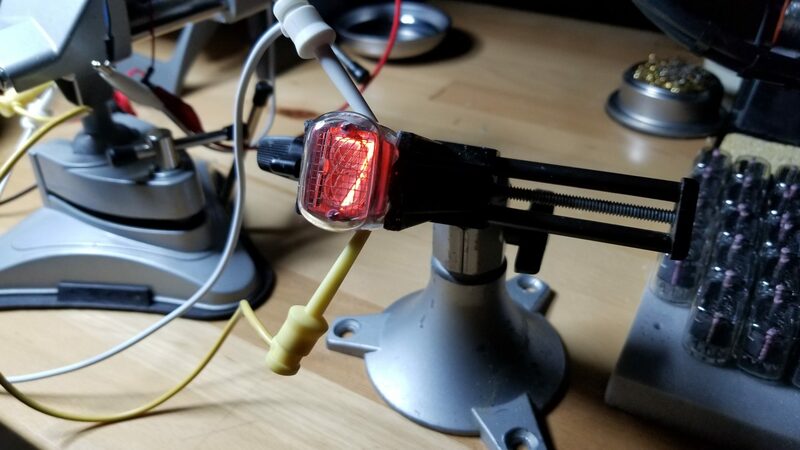 I am also excited about the K155ID1 chips; these are specifically made for driving NIXIE tubes and are capable of handling high voltage switching since the tubes require High Voltage (HV) DC. 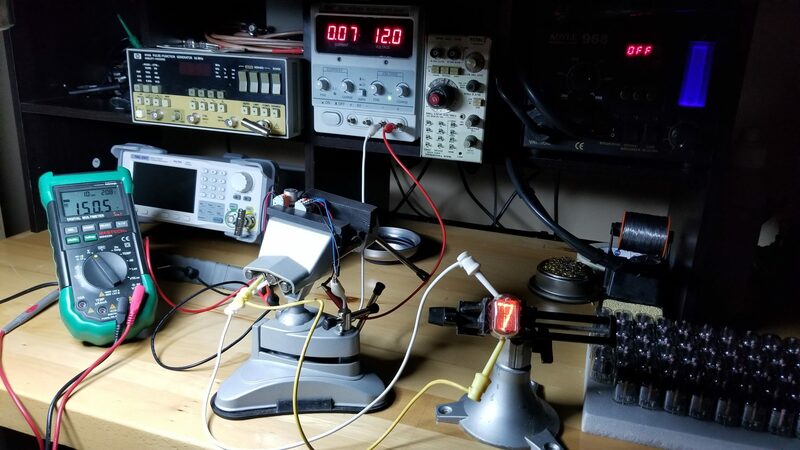 The NIXIE tubes require HV DC in range of 140v DC to 170v DC and the IN-12A draws upto 2.5mA to 3mA current – these chips are capable of handling sourcing of these requirements w/o any problems whatsoever. 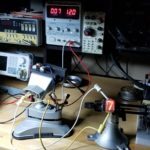 To source the required 140v DC to 170v DC, I will need a DC-DC Boost circuit – which one could build or buy pre-fab’d on ebay. Rather than me building from scratch and fine tuning the circuit, I decided to buy instead. 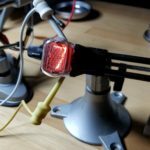 If you decide to buy, take some time to understand how the circuit works. 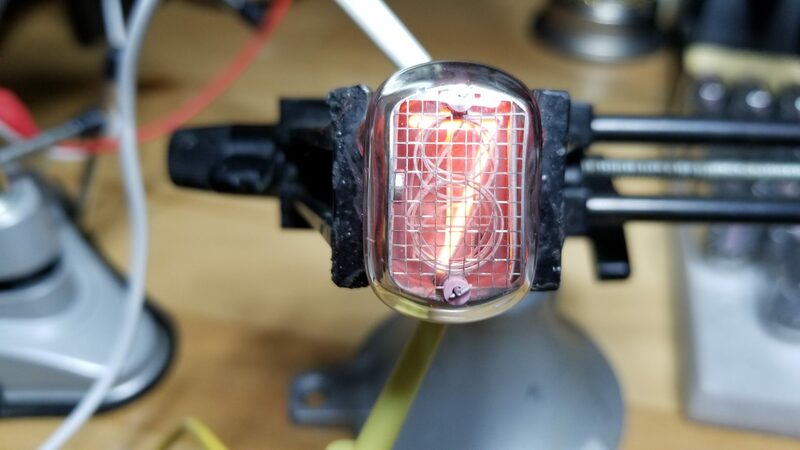 It is absolutely important to understand that any NIXIE tube circuitry requires high voltage supplies; IF YOU ARE building these projects, you must be very careful and understand handling such circuits. DO NOT attempt these projects if you are not familiar with how these work and if you are unsure or uncomfortable. IF you’re reading this blog posting, you are doing so at your own risk. 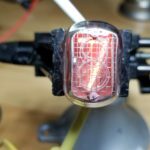 A Few early pictures and YouTube video of the Intro and first attempt to lighting up a NIXIE IN-12A tube.